I just came upon a high quality clip of an unbelievably young Bob Dylan at Newport in 1963, singing one of his best early songs. Watching it, I’m reminded of a line from another early Dylan song, “We never much thought we could get very old.” I guess no one ever does. Change a few particulars and the song is as timely today as it was 50 years ago. What’s missing is the collective hope/dream/prayer of those days that music could change the world. Maybe it can, in the sense of planting seeds. Maybe, but if so, those seeds take longer to germinate than anyone who is young can possibly imagine. Enjoy a great clip of “North Country Blues.” And maybe water the seed. This entry was posted in Culture, Music and tagged Bob Dylan, Culture, Music, North Country Blues. Bookmark the permalink. “couldn’t sing.” If you watch the people in the background, I think you will see Judy Collins in the background on the shots taken from the left of him. It’s fascinating to watch peoples’ reactions to his rather monotonous song. I’ve always said he’s a great poet, but his songwriting and singing leave a bit to be desired in my mind. This was fun to watch and really took me back. Thanks. and realized, music really has changed our world. What’s hardest for me is to realize how bad things really were/are. We tend to hope that change will take us all, the middling majority, to the top, but it turns out it is more like cleaning up the psychopathic bottom 1%. Like cleaning ditches, it is bloody hard work and in the end what you have is still a ditch and it will probably need to be cleaned again one day. It isn’t till you notice the water runs clean and clear that there is any sense of what has been accomplished. You would have been interested in an all day presentation I heard Michael Ventura give when I was a psych student. It was on the archetypal content of some of the music of that era, with much emphasis on Dylan. There’s one essay he wrote on a similar subject that you can find as a pdf file online. It’s called, “Hear that Long Snake Moan.” A lively ramble through the history of Blues and the birth of Jazz in New Orleans, with side notes on Marie Lavaux, Voodoo, Louis Armstrong, the dances at Congo Square, etc. This was a morning and afternoon talk – no text. The format was to listen to short clips of songs and try to hear them as if for the first time. Ventura mentioned that he and Hillman disagreed on the subject of archetypal content in popular music, then went on to pull a lot of Dylan’s imagery out of context and the dreamlike evocation seemed obvious to me. “There’s something happening here but you don’t know what it is / do you Mr. Jones?” If that isn’t a classic dream situation, what is? I also remember him playing a Joan Baez clip, “Just a table standing empty by the edge of the sea,” and suggesting that is a landscape right out of the soul. An intriguing day. I might (just might) know the cardboard box where my notes are and may take a look. It is fascinating to hear exchanges by people who, like us, have immersed themselves in the cultural current. Dylan’s early work seems to display a lot of collective ideas and themes. Later on, I think he drew more from personal experience, and even though there is still plenty of archetypal themes (as there are for all of us), the personal pain of Blood on the Tracks draws me in more emotionally than the still very powerful emotion of Highway 61 Revisited. Either way, Dylan remains a very prolific writer who used melody to amplify the emotion embedded in his lyrics. 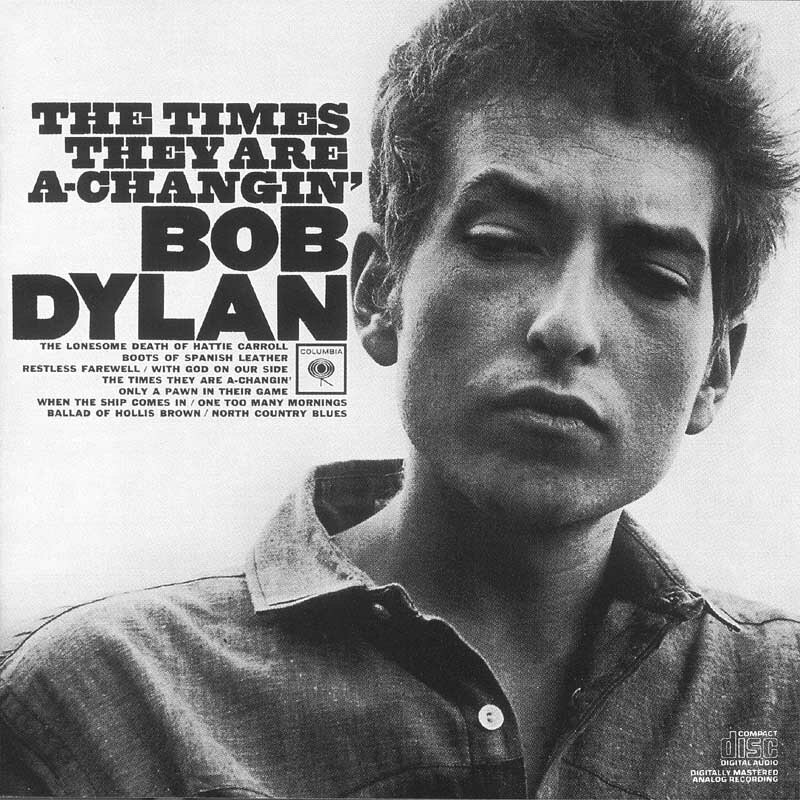 The Shakespeare of recorded music Dylan is. Still I find each generation has its own musical revolutionaries like the Clash, Public Enemy, Radiohead, Tori Amos, Rage Against the Machine… Where there is wrong there is a song. Very well said – that’s a nice thought. Bob Dylan poetry is timeless. It is, through so many self-reinventions! My guess is that he’s the most extensively covered musician of our era.